Many of you are familiar with the beloved children's books written by Dr. Seuss. What you may not be aware of is that "Dr. Seuss" was a nom de plume. 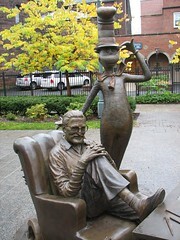 His given name was Theodor Seuss Geisel.